Welcome to this site. I am an Associate Professor of History at the University of Montevallo where I teach courses on Latin America, World History, and Historical Methods. I received my Ph.D. from the University of California-Riverside. My areas of expertise include Chilean history, the Cold War, South American militaries, and U.S.-Latin American relations. My book, The Pinochet Generation: The Chilean Military in the Twentieth Century, was published by the University of Alabama Press in 2016. Other publications of mine appear in The Journal of Latin American Studies, The Latin Americanist, and The Encyclopedia of U.S.–Latin American Relations. 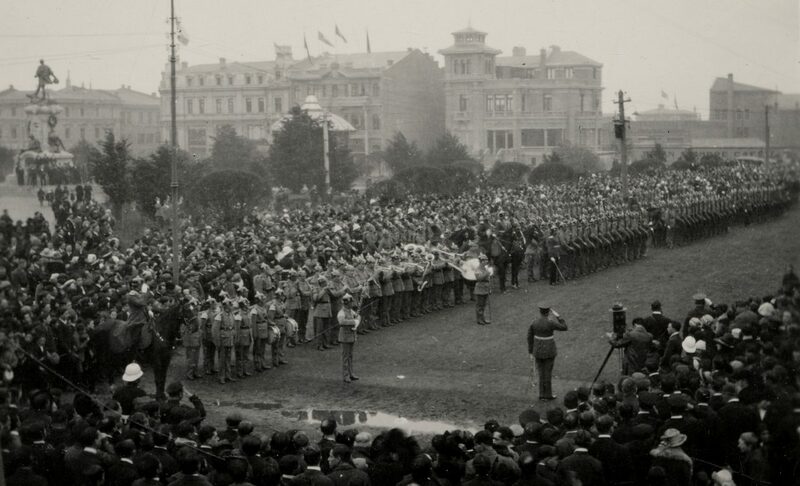 The header photo was taken at a civic event in Punta Arenas, Chile’s southernmost city, at the turn of the twentieth century. Soldiers are wearing Pickelhauben, the spiked helmets of Imperial Germany. Courtesy of the Chile’s National Library.